Off the shoulder of giant Saturn, a bright pinpoint marks the location of the ring moon Atlas (image center). 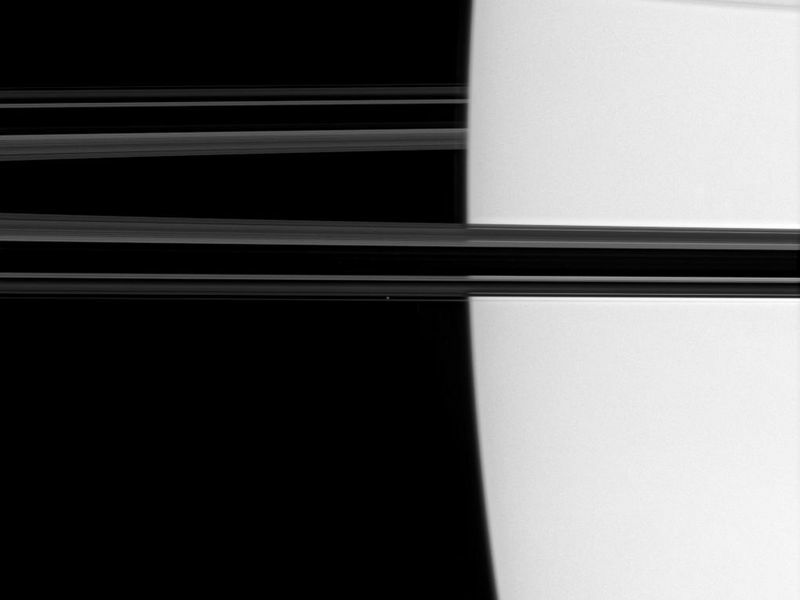 Shadows cast by the C ring adorn the planet at upper right. 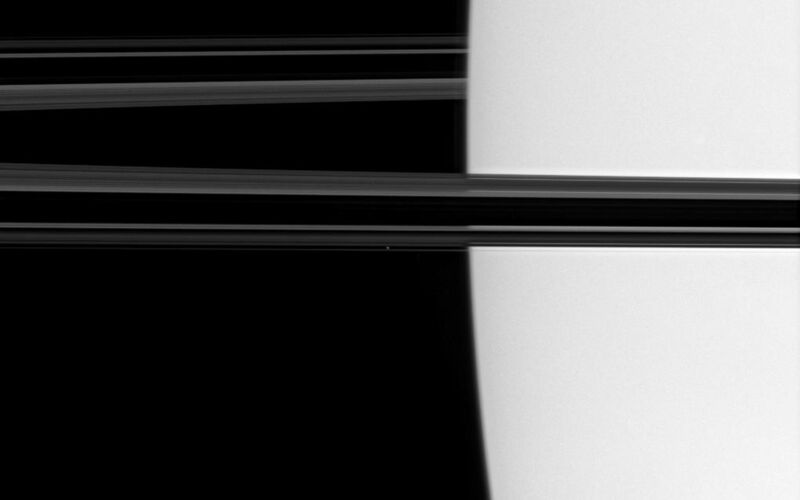 The thin boundary of Saturn's high haze layer can be seen immediately to the left of the planet's limb, near center. This view looks toward the unilluminated side of the rings from less than a degree above the ringplane. Atlas is 32 kilometers (20 miles) across. 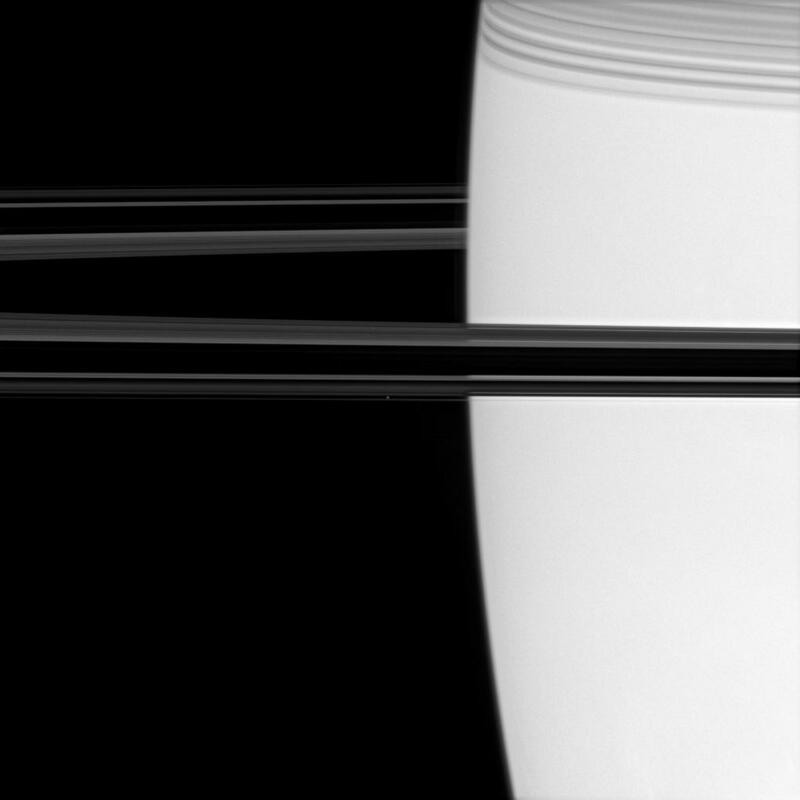 The image was taken in visible light with the Cassini spacecraft narrow-angle camera on June 17, 2007 at a distance of approximately 2.2 million kilometers (1.3 million miles) from Saturn. Image scale is about 13 kilometers (8 miles) per pixel.